To assess the reliability of change in lumbar magnetic resonance imaging (MRI) findings evaluated retrospectively by direct comparison of images and by non-comparison. Pre-treatment and 2-year follow-up MRI was performed in 126 patients randomized to disc prosthesis surgery or non-surgical treatment. Two experienced radiologists independently evaluated progress and regress for Modic changes, disc findings, and facet arthropathy (FA) at L3/L4, L4/L5, and L5/S1, both by non-comparison and by comparison of initial and follow-up images. FA was evaluated at all levels, and other findings at non-operated levels. We calculated prevalence- and bias-adjusted kappa (PABAK) values for interobserver agreement. The impact of an adjacent prosthesis (which causes artefacts) and image evaluation method on PABAK was assessed using generalized estimating equations. Image comparison indicated good interobserver agreement on progress and regress (PABAK 0.63−1.00) for Modic changes, posterior high-intensity zone, disc height, and disc contour at L3-S1 and for nucleus pulposus signal and FA at L3/L4; and moderate interobserver agreement (PABAK 0.46−0.59) on decreasing nucleus signal and increasing FA at L4-S1. Image comparison indicated lower (but fair) interobserver agreement (PABAK 0.29) only for increasing FA at L5/S1 in patients with prosthesis in L4/L5 and/or L5/S1. An adjacent prosthesis had no overall impact on PABAK values (p ≥ 0.22). Comparison yielded higher PABAK values than non-comparison (p < 0.001). Regarding changes in lumbar MRI findings over time, comparison of images can provide moderate or good interobserver agreement, and better agreement than non-comparison. An adjacent prosthesis may not reduce agreement on change for most findings. Selected results from this study were presented in a poster at the European Congress of Radiology (ECR) in 2012. The study received financial support from the Western Norway Regional Health Authority, Haakon and Sigrun Ødegaard’s Fund at the Norwegian Society of Radiology, the South Eastern Norway Regional Health Authority, and the Norwegian ExtraFoundation for Health and Rehabilitation through the Norwegian Back Pain Association. We would like to thank the patients who participated in this study. The study received financial support from the Western Norway Regional Health Authority, Haakon and Sigrun Ødegaard’s Fund at the Norwegian Society of Radiology, the South Eastern Norway Regional Health Authority, and the Norwegian ExtraFoundation for Health and Rehabilitation through the Norwegian Back Pain Association. Hutton MJ, Bayer JH, Powell J, Sharp DJ. 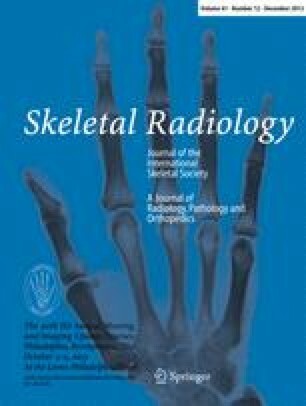 Modic vertebral body changes: the natural history as assessed by consecutive magnetic resonance imaging. Spine. 2011. doi: 10.1097/BRS.0b013e31821604b6. Blondel B, Tropiano P, Gaudart J, Huang RC, Marnay T. Clinical results of lumbar total disc arthroplasty in accordance with Modic signs, with a 2 year minimum follow-up. Spine. 2011. doi: 10.1097/BRS.0b013e31820f7372. Berg L, Neckelmann G, Gjertsen Ø, Hellum C, Johnsen LG, Eide GE, et al. Reliability of MRI findings in candidates for lumbar disc prosthesis. Neuroradiology. 2011. doi: 10.1007/s00234-011-0963-y.